In today’s world, people are always trying to find different ways to express their personality. For many, Instagram has become the platform to help capture user’s creativity. Since its inception, Instagram has become a digital scrapbook for millions to share the moments or things that matter most in their lives. From our cute, lovable dogs to a selfie with a best friend, Instagram is the social outlet for you. The question is: Have you ever experienced an Instagram overload? Picture this… You’re scrolling through your Instagram newsfeed, and you see a friend post a photo from their recent vacation. Shortly after, your feed is flooded with five more. Sound familiar? Most recently, Instagram has introduced a new feature called “Photo Albums” that could very well fix the Instagram overload you experience from time to time. Users can now select up to 10 different photos from their camera roll to include within one post. Instagram will continue to let you use the photo filters for the individual photos in your post, meaning the creative options are STILL totally in your hands. Instagram introduced a similar feature to business as a marketing tool in 2016, but now has released it to the masses. Now it’s your turn to put the feature to use! 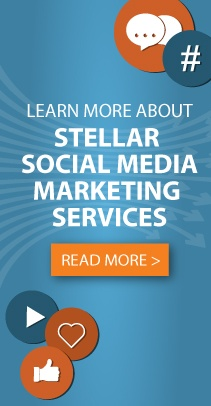 If you have questions regarding your social media strategies and techniques, Stellar Blue has an amazing team that is willing to help. Contact a Stellar representative today to find out more.